Save time and money by ordering your interior parts as a package. 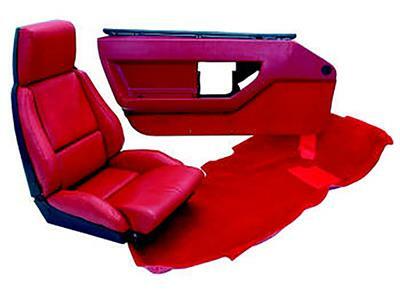 Interior packages include: 134185 1990-1991 Leather Like Standard Seat Cover 134255L 1990-1991 LH Door Panel 134255R 1990-1991 RH Door Panel 134315 1990-1991 Convertible Poly Back Carpet No Discount on Interior Package. No Discount on Interior Package.